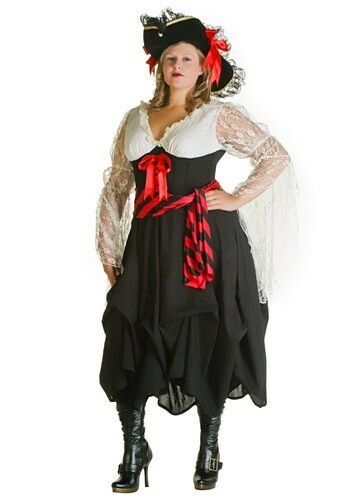 If you want to be the most popular wench in Tortuga then you'll need to have the right look! This Plus Size Female Pirate Costume is the latest in wench fashion and choosy pirates agree! You've been on a ship for weeks, crossing the big blue from England to the colonies in the Caribbean. You step off the gangplank down to the dock and you immediately realize that you've made it to Port Royal, pirate capital of the world! Do you want to make a name for yourself at the local alehouse? 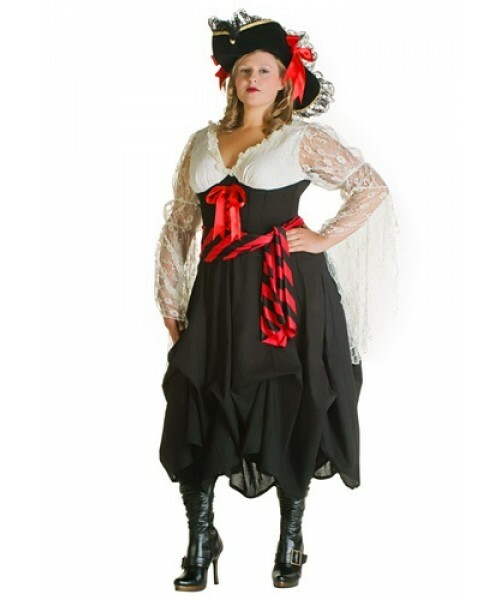 You'll fit right in with our female pirate costume! Here's a tip: if you give the boys a free bit 'o rum they'll be more likely to join your crew. Pirates love their rum!